It’s been a funny old time for weather the last few days on the Fylde coast, a combination of bright blue skies and the sort of sunshine that makes me break out the factor 50 sunblock (it’s that time of year again, boo…), and driving rain with winds that whistle down the chimney. So while I was having a lovely afternoon creating the bright springtime ackee recipe from yesterday, I also made this savoury, earthy, lentil dish. I wasn’t sure how the mustard celeriac slices would work, but goodness they’re a delicious topping! And the scent that permeated veganbungalow as it was cooking was absolutely gorgeous. For the lentils, simply put all of the ingredients in an ovenproof casserole dish and give it a mix. Cover, and pop in the oven for 50 minutes, checking the liquid levels after 30 minutes. The vegetables should have released some liquid and there should be enough for the lentils to soak more up when the celeriac topping goes on. 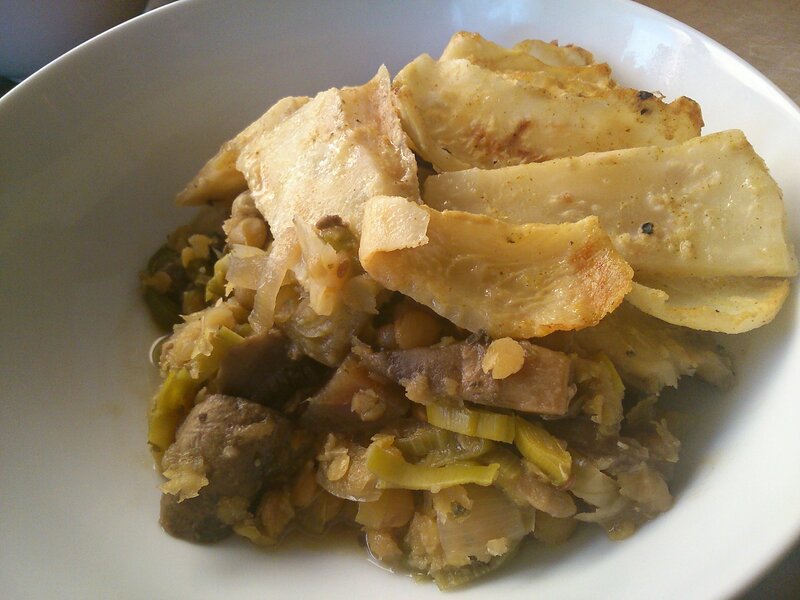 Toss the celeriac slices with the oil, mustard, and salt and pepper and arrange evenly over the lentils. Carefully as the casserole dish is hot! Cover and bake for another hour, removing the lid for the last 30 minutes. 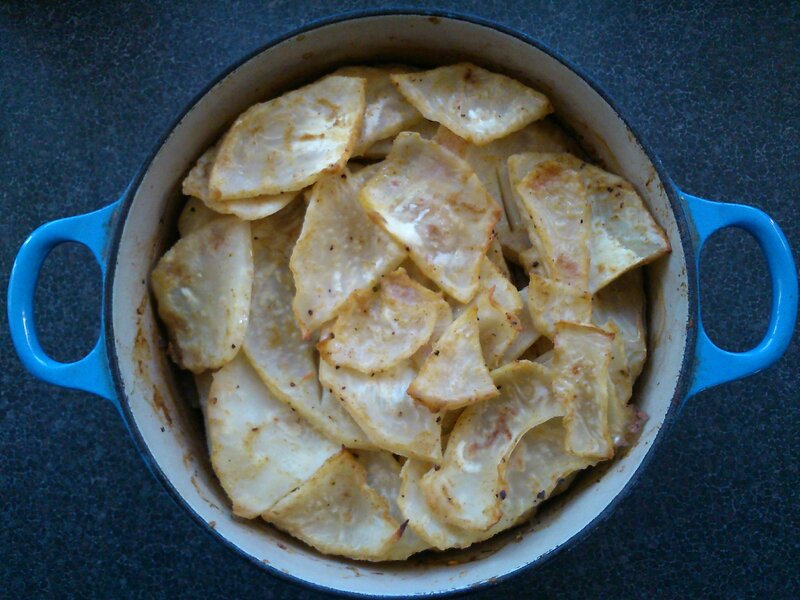 The celeriac should be cooked through and slightly browned on top. It doesn’t photograph so well, but goodness me it’s delicious! Windy… I know! We’ve come home to find our garden wall has blown? over!